A bed, you say? For what? A squirrel, a vole or a tiny guinea pig? 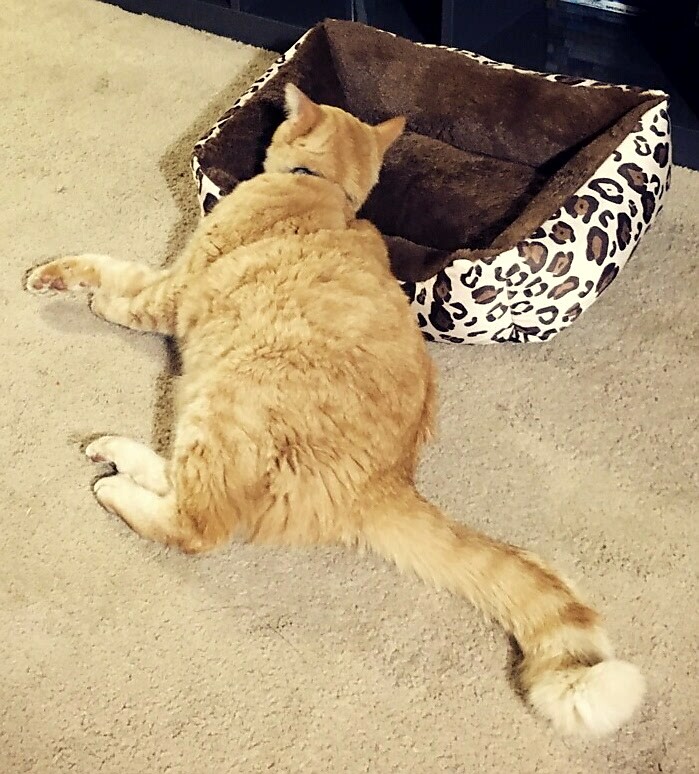 Surely you understand that this “bed” is much too small for me. It makes for an oddly shaped pillow at best. We have a few “pillows” like that as well. It looks like a soft one. BOL!! Definitely looks more like a “pillow”!!! I hope that’s a hint to the humans to get you a proper cat bed!